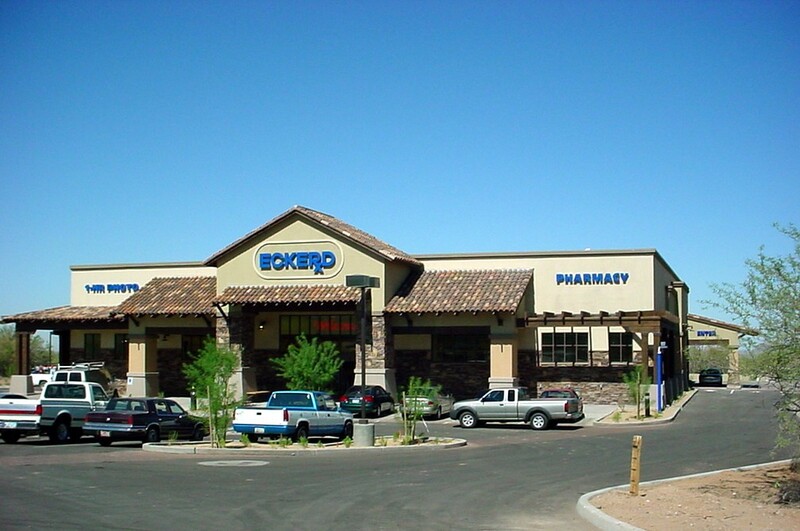 While researching the history of a never opened Houston Eckerd’s Location I stumbled upon a few unsusal Eckerd’s buildings these images were mostly hosted on architectural design websites and risk eventual removal. They have been re-posted here to help preserve unique examples of a completely extinct chain. For the most part these locations all share a very general “Southwest” motif, while retaining as much of classic Eckerd’s design as possible. This render may have been purely speculative, but it sure looks nice! I unfortunately don’t have any information on where this was built, or planned to be. While obviously a real photo, I don’t have a location on this. 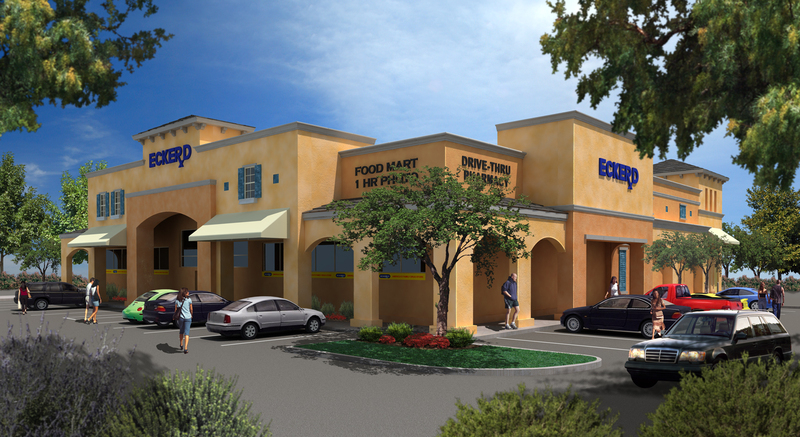 The Developer, Hines stated that this was part of a project designing locations in Arizona, Colorado, and Florida. Based on the foliage and lack of ground cover it makes a strong case for Arizona, however it could also be Colorado. Certainly it’s not the ones that were built toward the end in Houston. 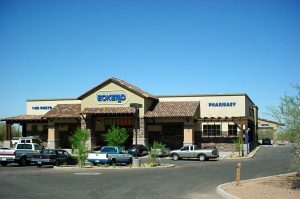 There’s one at FM 1960 and Eldridge that based on how the leases ran and when it was built either was opened in late 2003 or early 2004 and remained as Eckerd for less than a year before it closed to become Sound Fitness (CVS had entered Houston a bit before Eckerd’s demise, and partially due to that, several duplicate stores would end up closing). CVS really accelerated growth in Houston 2005 on, but I wonder how many CVS stores built with their prototype were planned as Eckerd stores. I believe there were a few which delayed their Eckerd’s Grand Openings to remodel and open for the first time as a CVS. The switch was rather abrupt, with only maybe a couple of weeks notice. Agreed. The CVS revolution did speed up the demise of Eckerd, it seems. 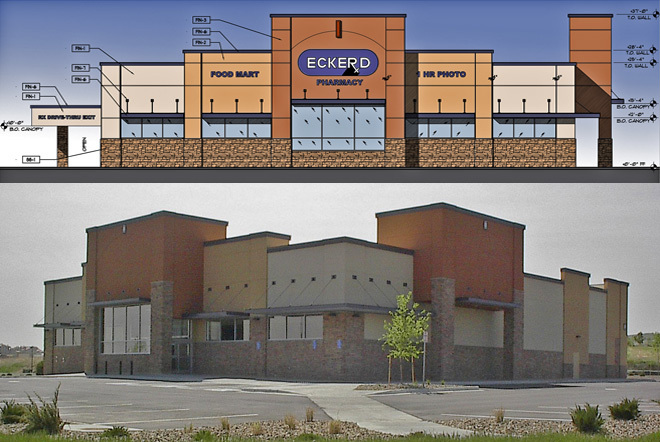 The old Eckerd that stood at the corner of E T.C. Jester & W 18th St also converted to a CVS before it finally closed it completely & now it’s an emergency clinic in it’s latest iteration. There were also the old Eckerds that stood at 11th & Yale in the Heights & at 20th & Main St across from what was the old Blockbuster Video.